This 5 days fly in Uganda wildlife safari to Kidepo valley national park is exclusively a flight safari in Uganda to Kidepo valley national park taking off and landing in Entebbe international airport to Kidepo airstrip. This little visited park is a perfect African wilderness situated in the north eastern district of Kaabong close to the border with Sudan and Kenya. Covering 1,442km2, the park is a vast wilderness that hosts numerous wildlife including over 77 mammal species with about 28 endemics to this park. The Bat-eared fox, carcal and klipspringer, lions, Elephants, maneless Zebras, Hyenas, Eland, Hartebeest and many more are some of the wildlife species in the park. Along with wildlife, birds total to more than 475 bird species including the Ostrich, Black-breasted Barbet and Karamoja Apallis that are endemic to this park. This vast wilderness hosts the fastest land animal-the cheetah, the Ostrich can’t be seen anywhere else in its natural habitat in the country and probably the largest buffalo herd in Africa is seen in Kidepo valley national park. Day 1: You will depart from Entebbe international airport at 12:30 and arrive at kidepo airstrip at 14:45. Day 2: You will spend the whole day in the wilderness in search of the wild animals. Day 3: You will do a morning game drive, have a lunch break and then an evening game drive. Day 4: You will go for a cultural tour to the IK people on mountain morungole for a whole day. Day 5: You will have relaxed breakfast and then take your return flight to Entebbe international airport departing at 15:00 and arriving at 16:30. Your driver guide from your Uganda wildlife safari tour operator will transfer you to Entebbe international airport from your accommodation facility in Entebbe. You can also get to the departure flight immediately after an arrival flight. This chartered flight will take you about 2hrs 15 mins to Kidepo airstrip. Upon arrival you will check into your prior booked accommodation in Kidepo valley national park for a relaxed dinner and an overnight. The whole of your second day on this safari, you will be in the wilderness in search of the wildlife in the park. You will have a lunch break after about a game drive of about 2-4 hours. You will wake up to an early morning game drive alongside your driver guide and a park ranger for about 4 hours. This increases your chances of seeing several early risers that you didn’t see the previous day then go back to your hotel or lodge for lunch. 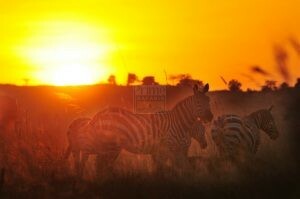 You will later return for an evening game drive before returning for an overnight in your hotel for an overnight. On your wildlife safari in Uganda to Kidepo valley national park, you will have the chance to visit one of the smallest tribes in Uganda. Spending a whole day on mount Morungole with the IK people is more than just reading a history book but experiencing history. 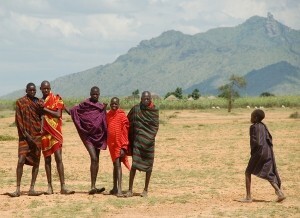 Their lifestyle is unique and so much traditional African. After a relaxed breakfast, you will be driven to Kidepo airstrip for a return flight to Entebbe international airport. This 1h 30min flight marks the end of your safari. Uganda is blessed with a great wilderness and yet that’s not all. For Uganda gorilla trekking safaris, Bwindi impenetrable national park is the best destination alongside Mgahinga gorilla national park also a destination for gorilla trekking safaris in Uganda. Get lost in a wilderness and meet what you had never expected to. 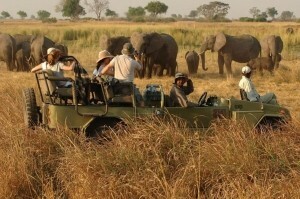 This 5 days relaxed safari offers all the opportunities.